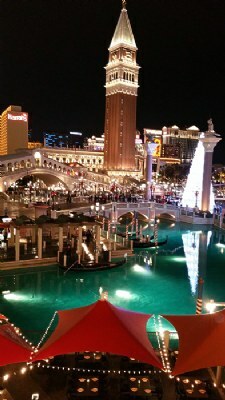 About Venetian Hotel, by night, overlooking Gondolas. Las Vegas, USA. Ok, this is no Venice, Italy, but the place is a lot of fun. "What happens here stays here"....and it did; My money stayed. Thanks Nigel. I appreciate the congrats and nice words! Thank you Marcos. I've occasionally viewed your portfolio of work. Very good! !